Once you are done, close your application and save the outcome as a pre-defined setting. 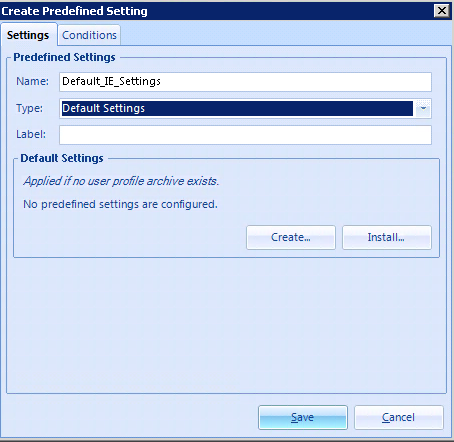 In case you cannot use the Application Profiler (Applications which config files are part of the UEM installation cannot be captured via Application Profiler) you can also use another method to create default or enforced settings. 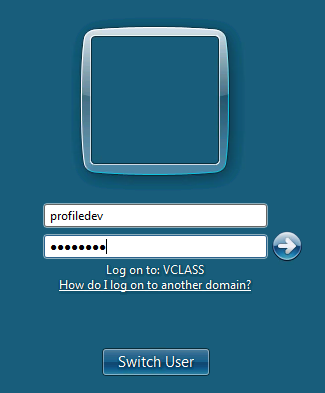 Login with this profiledev to a Desktop which Application settings you want to capture. and start the Application where you want to create default/enforced settings. Once you defined all relevant settings. Close the Application and logoff your Desktop session. 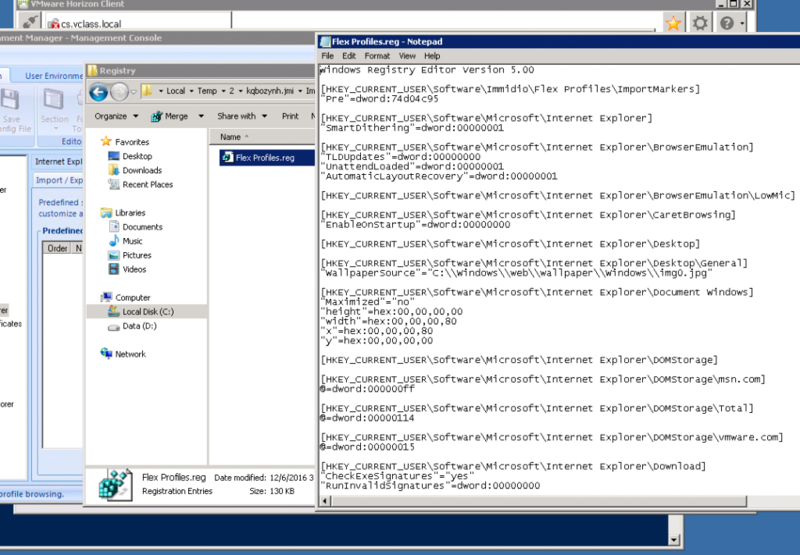 Make sure that an export of the profile occured by validating your UEM log-file (Check my troubleshooting post). 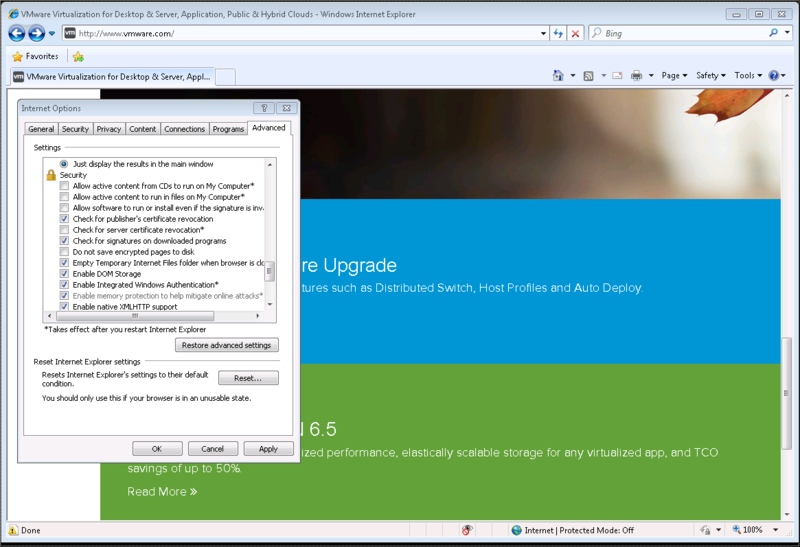 Open the UEM Management Console and go to your config file. In my case Internet Explorer -> Predefined settings. Create a new Predefined setting and call it appropriately. Once you click install you can select for the Application profile archive that should be used for your predefined/enforced setting. In our case I select that one created by the user profiledev which can be found on the User Profile Archive File Share. You can analyze and edit the pre-defined User profile Archive, but you must do it via the management console and the edit Button. 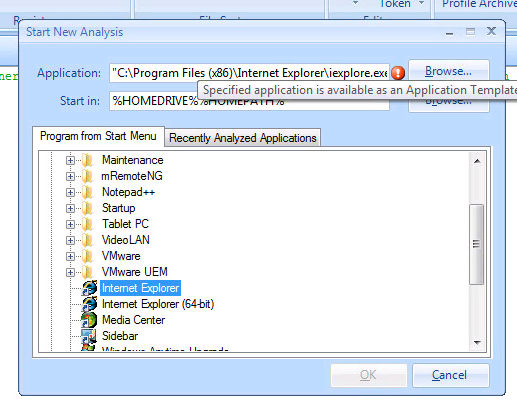 Extracting the profile via Windows Explorer, changing and compressing it again will not work out of the box!!! You can always edit files or portions of the registry here to clean up or achieve the result you want to have. I will show you an use case later on that topic. The same mechanisms apply if you want to use partial/fully enforced or default settings. Every time you select a profile a copy on the config share will be created. Which one will be taken by UEM? The one where our defined conditions in the end get applied (top -> down -> last hit counts). Within your UEM user’s log (remember the log file get’s written during the export of the profile) file you are able to figure out which setting are getting applied. Keep in mind that all of the pre-defined characteristics only apply during the import step of the UEM process. When does the import occur? If we want to create a secure unchangeable Internet Explorer for our Security Zone Users (the story is pure fiction) we need to fully-enforce a setting that also disables the possibility to change the Internet Explorer settings. How do we do that? Use the techniques we have learned so far. We create a new fully-enforced setting and specify our condition when this policy should be applied. Afterwards we select the profile we want to use (e.g. configured with highest possible IE standards) and edit the profile (similar as mentioned above). Additionally to the default settings we will add the following line to the registry file which leads to the situation that our Internet Explorer will not allow us to do any changes right here. Whatever… If a user logs in now and the conditions we have defined make him a Top Secret member, the hardened IE Settings are getting applied and the user cannot change anything. That’s it.. Quiet cool…quiet useful isn’t it? 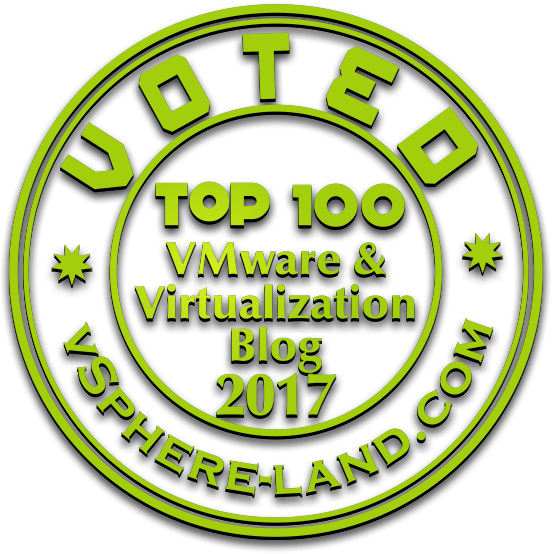 UEM is a quiet powerful solution I would always recommend when you go the VDI road.